CT Remodeler, Deck Builder, Cabinet Maker and Home Improvement. We are a home remodeling contractor located in Coventry, Connecticut. Our expertise ranges from small jobs and repairs to additions and new construction. Feel free to contact us regarding questions or quotes on any size home improvement project. With over 25 years of experience in residential remodeling, we can advise with solutions that are cost effective, functional and aesthetically pleasing. Our extensive planning, designing, and remodeling experience will ensure that your project is successful. Some of the general remodeling services that we offer are kitchen and bathroom remodeling, additions and garages, finished basements, replacement windows, decks and porches. 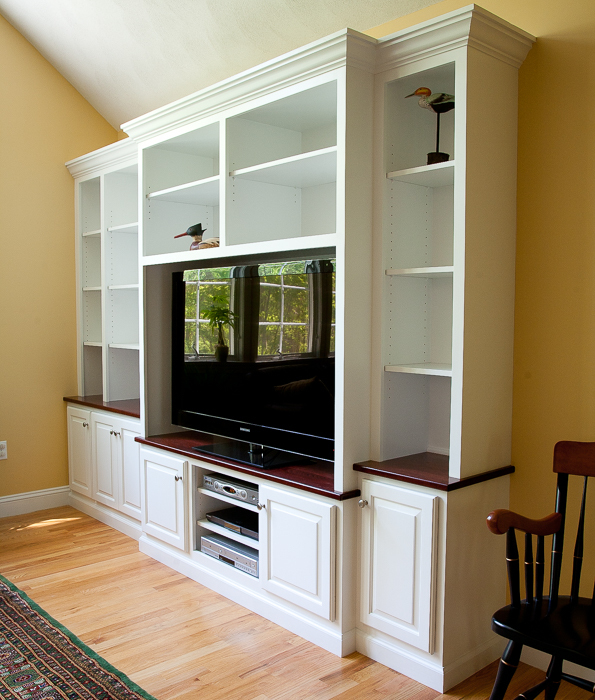 We work with homeowners throughout central and eastern CT on the design and application of built-in cabinetry. Our custom cabinetry and built-in services include custom made built-ins, bookshelves and library cabinets, window seats, cabinet refacing and kitchen cabinet door replacement.